To call Mumbai, the Bar capital of India would not be an exaggeration. 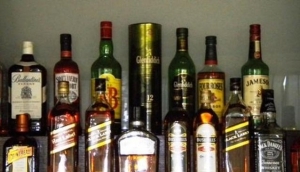 The city has a number of well stocked bars that quench your thirst with a variety of fine liquors. The Mumbaikars love their drink & you would never be bereft of good company. Bars like the Hawaiian Shack and Razzberry Rhinoceros provide you with a feel good factor that not only relaxes you but also re-energises you.